With the media stories about water quality issues that have been published in recent years, it is understandable that many homeowners are concerned about the water entering their property from municipal systems. If you have concerns about what impurities may be lurking in the water that your family drinks and uses to make meals and bathe, you may have considered water testing. Here we’ll explore what professional water testing will tell you about your water supply. One of the most common reasons to have your water tested is to discover the hardness level. Hardness is the term used for the amount of minerals dissolved in the water, particularly calcites and magnesium. While hard water isn’t considered dangerous to consume, it can have a detrimental effect on your pipes, fixtures, water using appliances and even clothing. Lead and iron are one of the primary causes of corrosive, unhealthy water. Professional water testing will check for all kinds of metal that may be in your water supply. While there are some organic pollutants that cause harmless aesthetic issues, some forms of organic pollutants including bacteria can create health issues. In fact, these are some of the unhealthiest impurities that can enter a water supply through contamination or a water line break. There are a number of chemicals that can find their way into water supplies, creating potential health risks. From chlorine residue remaining from water treatment, to nitrates, arsenic, and pesticides caused by agricultural runoff, water testing will check the levels of the most common chemical contaminants in your area. The most vital aspect of professional water testing is that it will inform you of the steps needed to improve your water quality. An experienced water treatment technician will provide you with a complete water quality report and advise you of the water treatment systems best suited to the characteristics of your water to counteract these impurities. 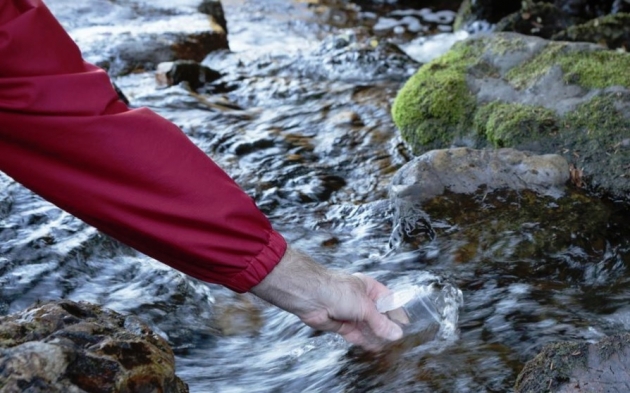 Water testing is more than a scare tactic, it is meant as a path towards developing a solution. If you’re unsure if you need water testing, there are some simple ways that can highlight a potential issue. Firstly, you should use your senses for signs there is an issue. Does your water have an odd smell, such as rotten eggs, bleach or a swimming pool like odor? Is the water discolored or cloudy? Does your water have a metallic taste or taste like a mouthful of water from a swimming pool? These are all solid signs of a water quality issue, ranging from traces of chlorine, rust particles or hydrogen sulfide. Unfortunately, not all water contaminants affect the aesthetic qualities of your water supply. So, if there has been an alert in your area or you have concerns about your water quality, it is worth considering professional water testing. If you are interested in water testing, you can rely on a fully WQA certified technician to not only perform testing, but guide you through the treatment options that are best suited to your water characteristics.